There are some people who get very, very attached to a weapon. 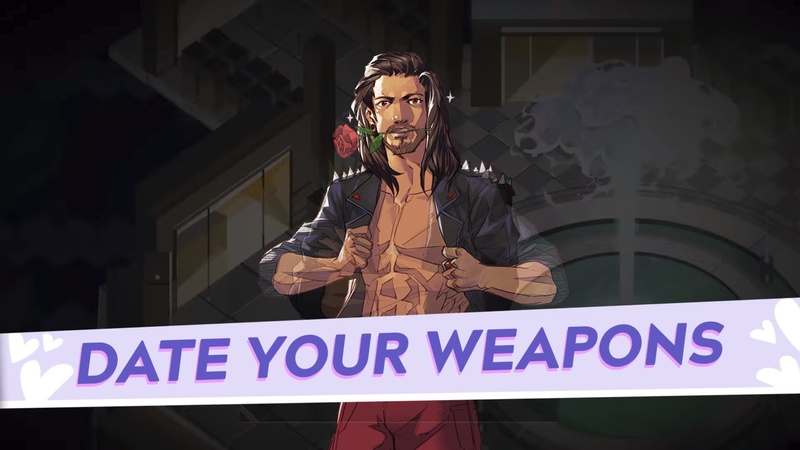 Boyfriend Dungeon takes that concept to the next level, though: there are some people who would date their weapon if they had the chance. There’s something special about a weapon and the one who wields it, after all. Let’s face it, the more you train with a particular weapon, the better you get with it, the more comfortable it feels in your hand, and the stronger you’ll feel carrying it into battle, right? So let’s just dive into how a dungeon crawler can meet up with a dating sim and have a beautiful child together, shall we? The demo I was provided comprised of two weapons: Sunder the talwar and Valeria the dagger. Being a big fan of a good game of knifey-stabby, Valeria was an easy choice for me. We met in a park, because she was worried about me being an axe murderer (though she admittedly realized I’d most likely be an axe in this world). We exchanged pleasantries, hit it off a bit, and got interrupted by a friend she wisely though to have waiting in the wings should things go south. A dagger can never be too careful these days. After a rather successful encounter — she did agree to meet somewhere a little less public next time like a coffee shop — I went home and flipped through my phone. Oh, look, a text from my mother. Yes, mother, I’m fine. Yes, mother, the date went well, honest. No, mother, you don’t need to rain murderous doom on Valeria. I appreciated the knife emojis though, given the theme of the game. Good touch, Kitfox Games, I approve. After filtering through my messages, including one from someone I’d never heard of before, I decided to go to the mall. What? That’s a normal thing for anyone to do, okay? Fine. 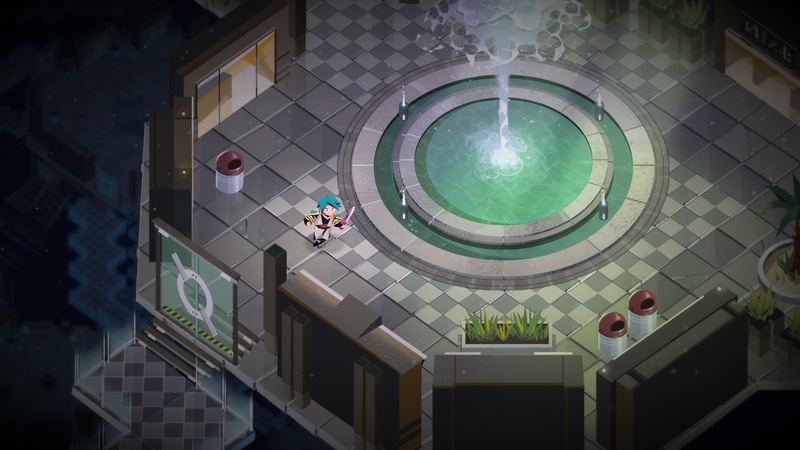 The mall was infested with monsters and Valeria was going to be my assistant in clearing out the vermin. Nevermind the vermin were as big as I was. Along the way, we stopped at a fountain to chat and had a nice little discussion where we opened up to each other a little. Deeper in, we relaxed in one of those massage chairs you see at the mall and always tell yourself, “One day I’ll try those.” It was a touching moment where I got her to admit she absolutely loves stabbing monsters in the face. We have so much in common. Right, time for some seriousness. Obviously the weapons you wield in the game are your romantic interests, but there’s a lot more going on to the game. It’s all about inclusiveness and acceptance, first and foremost. When you create your character, you get to choose your looks, and what pronouns you’d like to be referred to as. Yes, this includes they/them for gender neutral players and characters alike. The team want their players to be comfortable playing an avatar of yourself as you see fit. 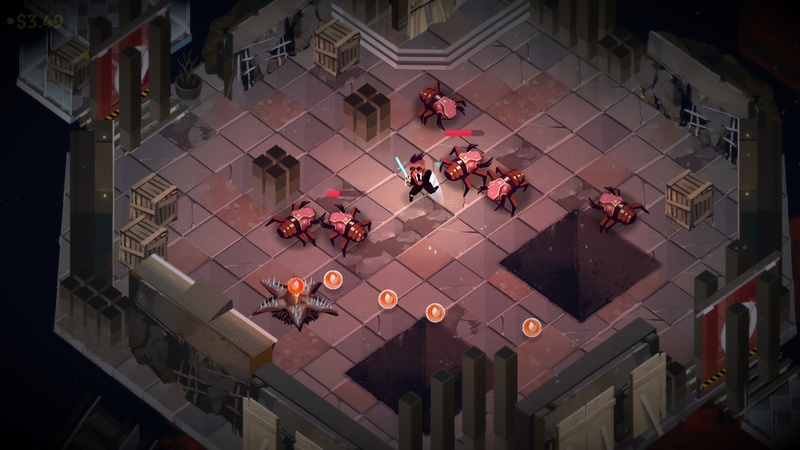 The combat in the game is fun and fast, with a simple combo system that lets you utilize your weapon’s strengths against single enemies or swarms alike. It’s quirky, it’s colorful, and it was just plain fun. 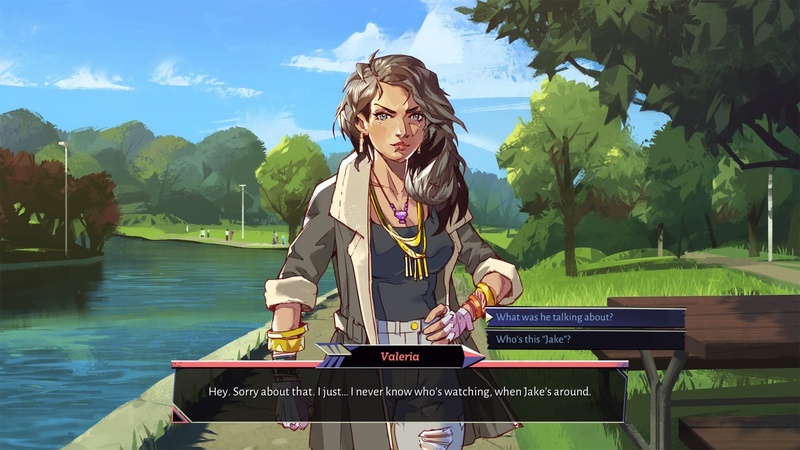 Boyfriend Dungeon is everything it says it is, and that’s what makes it wonderful.